There are very few opportunities for engineers to see, first-hand, what’s new and to have the chance to keep up with the latest “whatevers.” Not sending at least one engineer to NAB is tantamount to stifling your engineering departments technical education and preventing the facility from keep abreast of what’s going in the wonderful world of television and broadcasting in general. How utterly stupid! We’re doing the Taste of NAB Road Show again for the ninth year. As you know from the past eight years, the Tech-Notes newsletters and our website, we do this so that some of the new technology from the NAB convention in Las Vegas will get out to the grassroots engineers that didn’t make it to the big one in the desert. During these past eight years, we've had approximately 8600 or more in total attendance at the 415 presentations. The count is growing even more this, our eighth year. We've received countless e-mail thanking us and requesting us to return the following year. You can see them posted here on our website, along with other information from past and present years at: www.tech-notes.tv/Taste_of_NAB.html. The Tech-Notes - Taste of NAB Road Show is not and never has been intended to be a substitute for attending the real thing - The National Association of Broadcasters convention. We ask companies with technology they'd like to get out to the grassroots engineer to help us by underwriting efforts such as these. 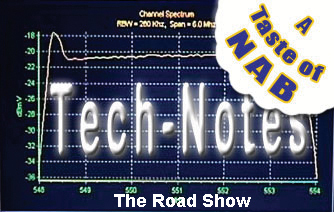 Tech-Notes is a work of love – it always has been, so when we do things like the Taste of NAB Road Show, we need all the help we can get – both nationally and locally. We’ll began our first venue this year in May and finishing off in October. 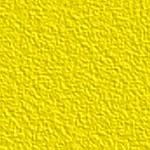 A map will be posted as it is developed. It is seldom possible for us to hold the Road Show on the same day the local SBE chapters holds their regular local meetings as we drive from venue-to-venue, so we need flexibility to be able to keep the Road Show schedule. We have no problem holding the Road Show in conjunction with any other local activities, just as long as we can expose the most engineers to the technology we’ll be bring with us. Please keep in mind: this is an educational effort, not a sales shot. Some locations even have picnics and/or barbeques in conjunction with our presentation. We’ll also be meeting with the SURVIVORS of the broadcast industry, our dear follow members of the Order of the Iron Test Pattern, as we across the country. That, within itself, should be a lot of fun and we’re looking forward to it. As a member of the Society of Broadcast Engineers (SBE), the Institute of Electrical and Electronics Engineers (IEEE) and the Society of Motion Picture and Television Engineers (SMPTE) I have notified the SBE, IEEE and SMPTE chapter and section chairs of this educational opportunity and many have responded very favorably. In some venues, A Taste of NAB will be their monthly program. If you are not a member of one of these organizations, you are still invited to attend. Membership applications will be available, should you be interested. If you are part of any organization that is even remotely related to broadcasting and wish us to do a presentation, please contact us. If you are an individual, you can participate by attending. If you are a company, you can participate on a local partnership basis. The national sponsors know that some of the local partners may wish to show competing goods and services or even show up to help support our sponsor's efforts. That’s the way it is at the real NAB convention. In that spirit, you are invited to join in making this educational opportunity a very big success and possibly reaping some benefits as well. It makes little difference weather your station, network or facility is a member of NAB or not, the experience and potential for the interchange of ideas and technologies doesn’t happen anywhere else on this scale and it’s a crying shame to miss the opportunity. Not getting some exposure would be like taking the bean-counter’s calculators away from them – now there’s an idea. Tech-Notes has put together this Taste of NAB “Road Show” in an effort to afford those who couldn’t make it to Las Vegas an opportunity to see and hear some of those services and products that were there in their own backyard. The response to this idea, to date, has been very positive. If the engineers can’t make it to NAB, then the products and services at NAB should go to them! Obviously we’ll not take the place of NAB, but we can bring a part of it with us. Our van isn't that big, but something is better than nothing. Our sponsors have promised that their local reps will be present in many of the venues to assist in answering questions. For those engineers who are able to make it to NAB this year, the trip will serve to be reinforcement of what they saw or may have missed. Why me and Tech-Notes? Many engineers know me through Broadcast Engineering magazine over the past several years, and through other writing efforts such as the Tech-Notes. This will be a two way street: I'll also get the opportunity to meet and speak with many of my peers, to hear their stories and share some of NAB with them. If you need more information, please contact me: Larry@Tech-Notes.TV.